This elegant necktie knot never ceases to charm and gets the compliments pouring in. 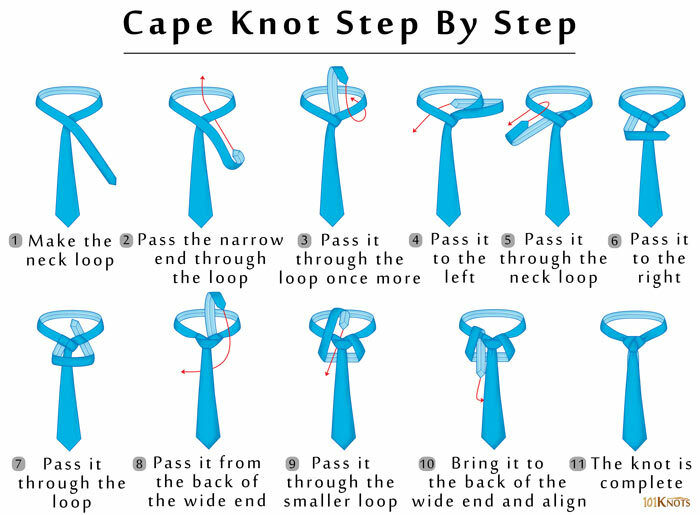 It helps if you are familiar with the Eldredge and Trinity knots. The small knot consumes medium fabric. It boasts of high symmetry when tied correctly. The pretty simple skinny-end knot can be finished in just a few moves. The trick is to have enough little end to go through the loops. It suits mono-colored ties best. It works fine with pattern or paisley ties. It is not recommended for striped ties as the orientation of the stripes might get weird creating a pattern shock. 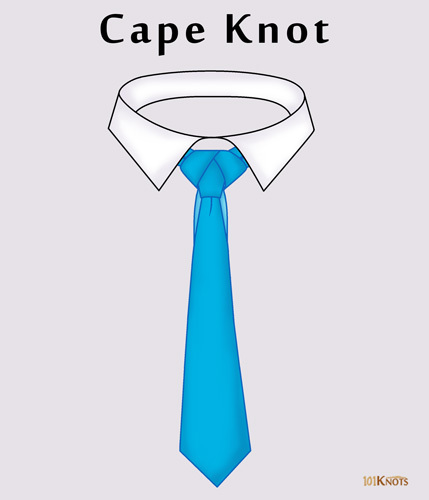 Since it is tied with the little end of the tie, it is easy to get the length right. Better suits informal celebratory occasions, but you may choose to wear it on formal dos as well.